All new Benchmarks of AMD’s Upcoming Bulldozer Processors have been revealed over at Vr-Zone Forums. 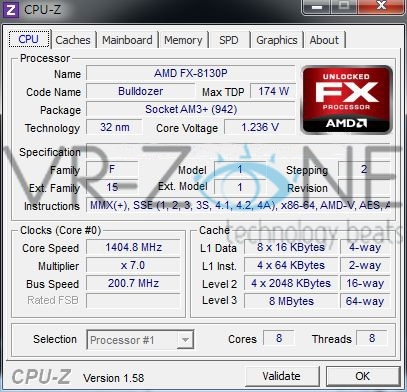 The Upcoming Zambezi FX Processors would be support on the AM3+ Socket Motherboards (Backward Compatible with AM3 CPU’s) featuring the 990FX and SB950 Chipset. The CPU Tested here include the Upcoming Eight Core 32nm Based FX-8120 which would feature a 3.1Ghz Stock Speed with Turbo Core Frequency of 4.0Ghz, 8Mb L3 Cache and 125W TDP. FX-8120 (221.73$) along with two other Bulldozer Processors are already available for Pre-Orders which you can see here. 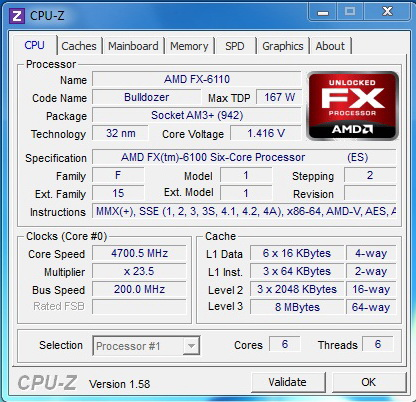 AMD has also postponed its Bulldozer launch to Q4 2011 according to few sources however September 19th Launch is still alot likely.